224p. Penguin/Razorbill. Oct. 2018. Tr $18. ISBN 9781984836090. Gr 6 Up—"This one has to be different." Marjorie Stoneman Douglas High School student Cameron Kasky's words summarize the spirit of the creators of the March for our Lives movement. This collaborative collection of essays by friends and family of Parkland victims exudes optimism and conviction. 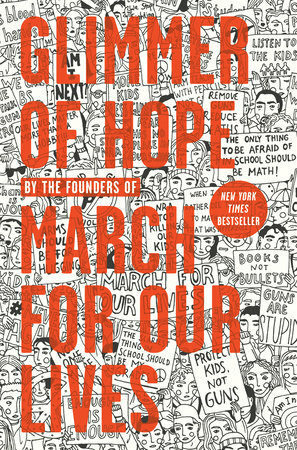 Arranged by date from the day of the shooting to the March for Our Lives demonstration on March 24, 2018, each chapter begins with a short expository passage about the events of the day. In individual and cooperative entries, students don't just describe feelings of rage and helplessness; they chronicle turning emotions into actions. From appearances on CNN to conversations in the U.S. Capitol to an 800,000–strong march on Washington, DC, they made their voices heard. The victims are enumerated, but the shooter is not named. The final chapter outlines the group's future goals: "Ten Commonsense Reforms," like banning high-capacity magazines and funding intervention programs. VERDICT A must-buy for most middle and high school libraries.